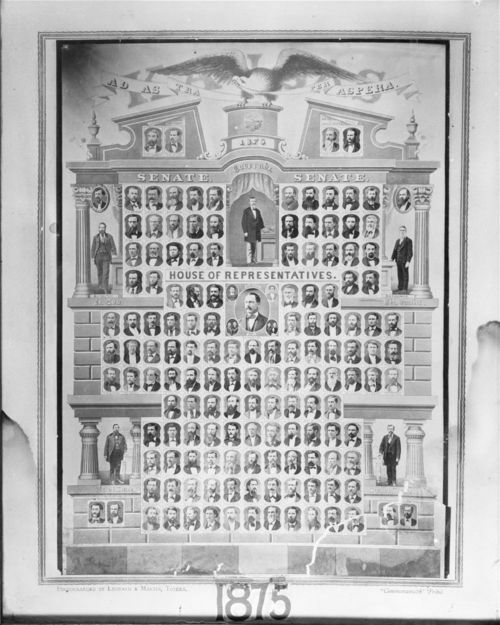 This black and white photograph shows the Kansas of Representatives and the Senate. Governor Thomas Osborn, Lt. Governor Melville J. Salter and Chief Justice Samuel Austin Kingman are featured on the panel. Government and Politics - State Government - Lieutenant Governor - Salter, Melville J.